The periodical “Studia Źródłoznawcze. 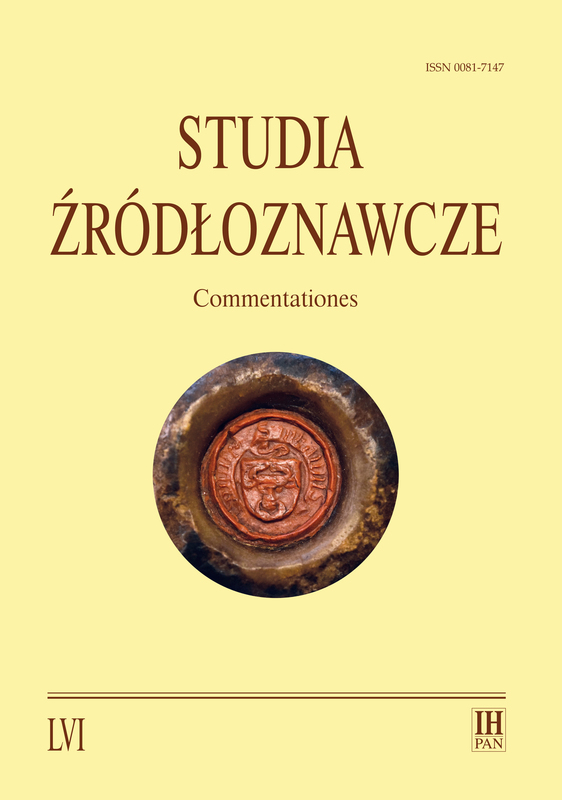 Commentationes” (“Studies in Historical Sources”) is a journal published by the The Tadeusz Manteuffel Institute of History of Polish Academy of Sciences, focused on auxiliary sciences of history and historical sources studies, i.e. classification of sources, methods of research and criticism specific to particular types of sources, and the editing of historical sources from the Antiquity to the nineteenth century. The periodical publishes studies and articles, critical editions of small historical sources, reviews and critical notes on recent publications relevant to the journal’s field of study, and also scientific chronicles. “Studia Źródłoznawcze” are a peer reviewed journal. A list of peer reviewers is in the menu “Dla autorów” under the tab “Lista recenzentów” in the Polish language. “Studia Źródłoznawcze” are on the the ERIH list of the European Science Foundation, and on the list of scholarly journals ranked by the Ministry of Science and Higher Education (ten points). The reference version for the journal is its electronic edition. “Studia Źródłoznawcze” are indexed by the online BazHum database that provides access to bibliographic information for articles from scientific journals of the humanities and social sciences.The periodical operates a policy against ghostwriting and guest authorship.